Carol J. Gannon, age 80 of Elyria; beloved daughter of the late John J. and Lucille M. (nee Roth); dear friend of Doris A. Prucha (deceased); cherished sister of Mary Leonard (Joseph), Kathleen Bradley (Larry, deceased) and the following deceased: Robert (infant death), Norman, Eileen Mileti, Jack, Lois Schwark (Earle), William, Donald, June Mortach (David), Patricia Guzik (Frank), and Robert; dear aunt, great-aunt and great great-aunt of many. Carol passed away on Saturday, February 9, 2019. In lieu of flowers, memorial donations may be forwarded to St. Jude Children's Research Hospital, P.O. Box 1818, Memphis, TN 38101-9903. 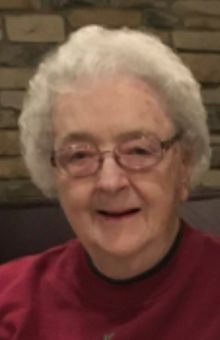 A Celebration of Her Life will be held at the BUSCH FUNERAL HOME, NORTH COMMUNITY ROOM, 7501 RIDGE ROAD, PARMA, on Friday, February 15, 2019 at 6:30pm, where a meal will be served.